Surety Bonds and Financial Guarantees are terms that are used almost interchangeably in the language of contracts. Clients often say “I need a bond” but are not sure what type or they might not know what exactly is being guaranteed. Below we outline some of the basics, perhaps it will help clarify the confusing territory of getting bonds. 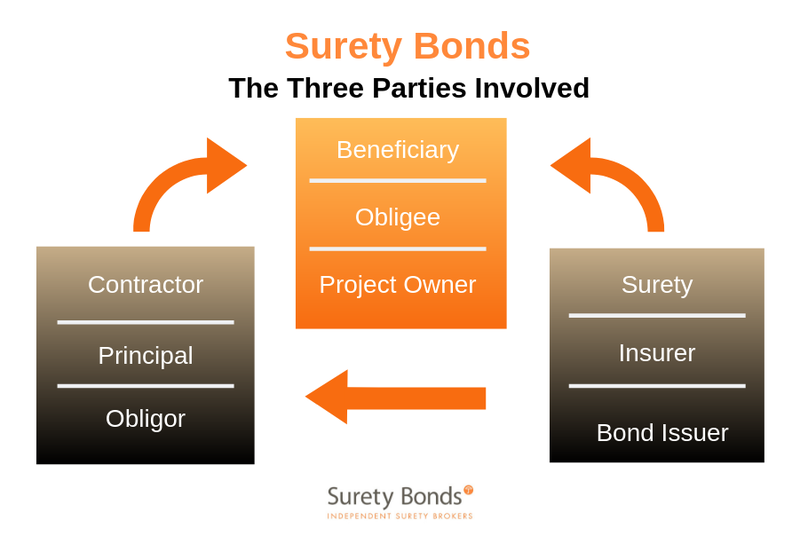 A surety bond or surety is a promise to pay one party (the obligee or beneficiary) a certain amount if a second party (the principal or contractor) fails to meet some obligation, such as fulfilling the terms of a contract. The surety bond protects the obligee against losses resulting from the principal’s failure to meet the obligation. The Obligee: The beneficiary for whom the work is being done or the party to whom the principal is promising that it will live up to its obligation i.e. the person or entity paying for the contract. Most corporate sureties are insurance companies, primarily because, as large financial institutions, they have the capital necessary to make large commitments in the form of surety bonds. Because insurance companies are the primary issuers of surety bonds there is a common misconception that bonds and insurance policies are one and the same. This is not the case. Insurance only involves two parties, the insurance carrier and the principal. Suretyship involves three parties. The principal is the person or entity required to obtain a bond. The obligee is who is requiring the bond of the principal; they are also the beneficiary in the event of a claim. The surety is the bonding company backing the bond. To sum it up, the obligee requires a bond of the principal who obtains it from the surety. The benefit to the company obtaining a bond is it enables it to free up working capital (overdraft facility) whereas a guarantee issued by a bank is a drawing under your credit facilities and may require a charge over cash/assets to the value of the bond or bonds. Unlike bank guarantees, surety bonds issued by an insurance company are almost always conditional, placing the onus on the beneficiary to prove loss in the event of a contract default. Is the concept of surety like credit? The company guaranteeing the surety bond has absolutely no desire to have to pay, just like a banker making a loan will do it’s best to avoid losing it’s money permanently. So, like the banker, the surety underwriter is going to do some investigation of the principal, in order to feel comfortable making the guarantee on that principal’s behalf. The surety, quite simply, tries not to suffer a loss.